Are you struggling to write measurable IEP goals? Do you find it difficult to determine if a student is making progress? 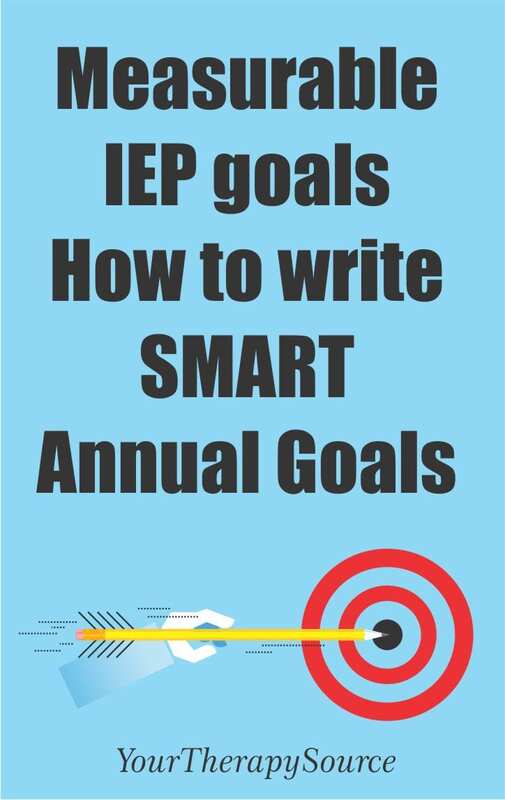 It is important to understand how to write SMART annual goals in order to create measurable IEP goals. But before you write the SMART goal, you need to determine the present level of performance for the student. 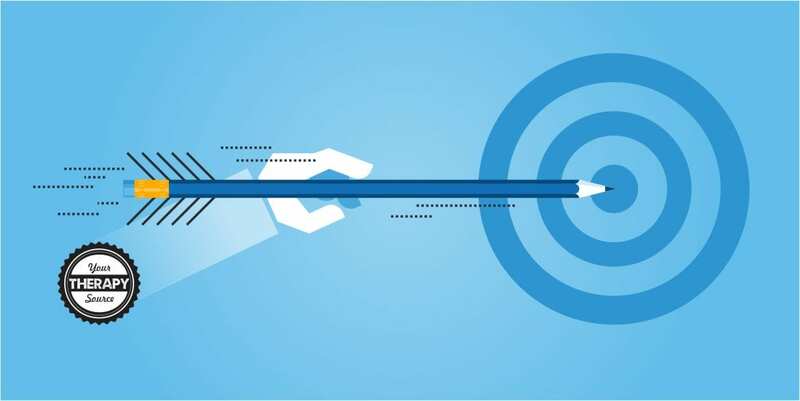 The present level of performance statement describes a student’s current abilities, skills, weaknesses, and strengths in academic, social and physical domains. It describes a student’s ability to learn the general education curriculum. Functional skills are included along with academic achievement. This statement is the first step in determining what goals to write. It is a baseline or starting point for the entire IEP. It will help guide you to create measurable IEP goals. Review data and notes. Check the student’s progress towards the current IEP goals. Does it seem likely that the goals will be reached by the end of the year? Are you able to think about the next step for independence in a certain domain? Analyze deficits. What is the impact of those deficits on academic success or accessing the educational environment? If the deficits do not hinder educational success you do not need an IEP goal for them. Discuss with the multi – disciplinary team including parents on how your services can help the student. Discuss goals with student. Make sure the student is on board – internal motivation is a key to success. What is a SMART IEP Goal? Each goal must be based on the student’s needs and be educationally relevant. You must establish the criteria necessary to accomplish the goal, exactly how the criteria will be measured and when it will be measured. It can take practice to learn how to write effective and succinct SMART IEP goals and objectives. The How to Write SMART IEP Goals Workbook digital download provides a step by step guide to help you create high-quality, measurable goals and objectives for students. The How to Write IEP Goals workbook walks you through all the steps to help you write AMAZING, measurable IEP goals, and objectives. Whether you are a seasoned teacher, pediatric therapist, parent or a beginner, it is important to always be moving through a process to write goals and objectives to best help the student. Once you practice writing effective present level of performance statements and SMART goals it will become much easier and faster to write measurable IEP goals and objectives for all your students. FIND OUT MORE. 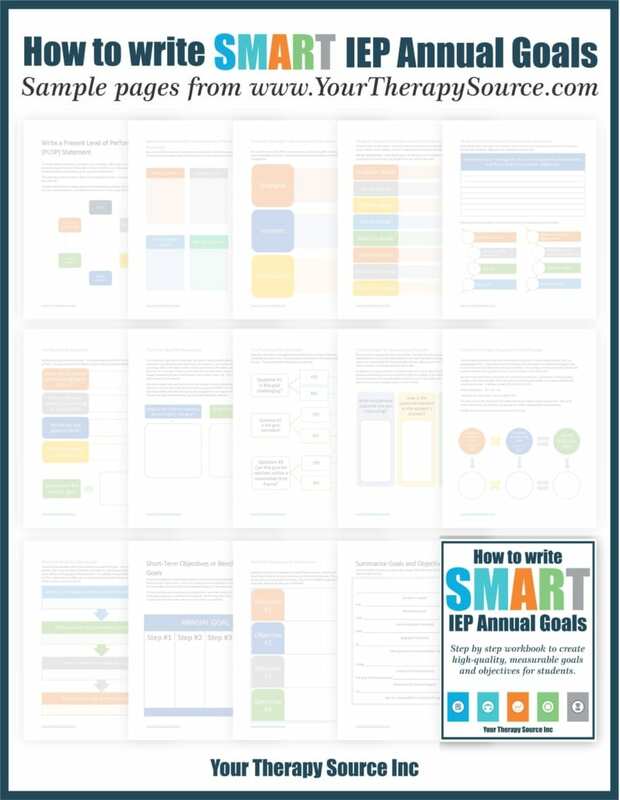 Teachers, therapists, students, and parents can learn to write measurable IEP goals with How to Write SMART IEP Goals workbook because it teaches you how to follow the SMART principles of goal writing.